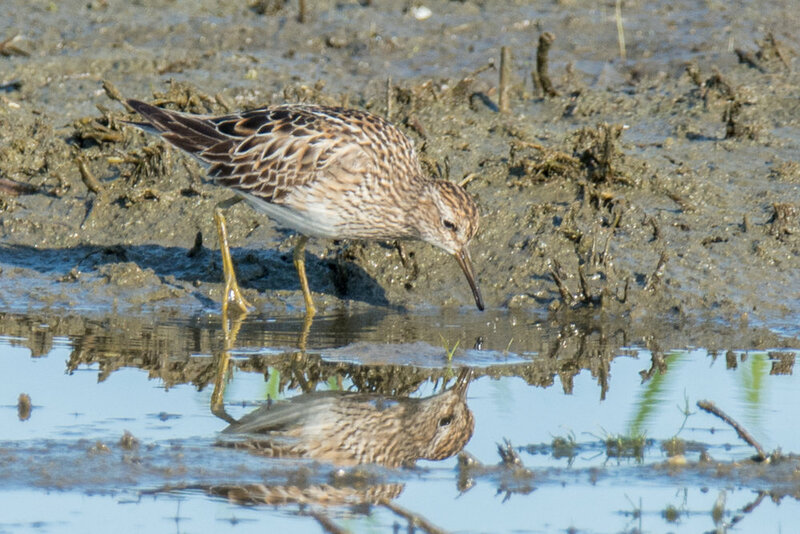 I've seen a Pectoral Sandpiper only twice in my life so far, and little did I know what an amazing creature I was watching. Listen to this. In early spring, these Robin-sized birds leave the grassy pampas of Argentina and travel almost 9000 miles north to their breeding grounds in the far northeast corner of Alaska. There they nest and raise their young. Then, before the young are even able to fly, the parents hit the road and make their 9000-mile journey back to Argentina. 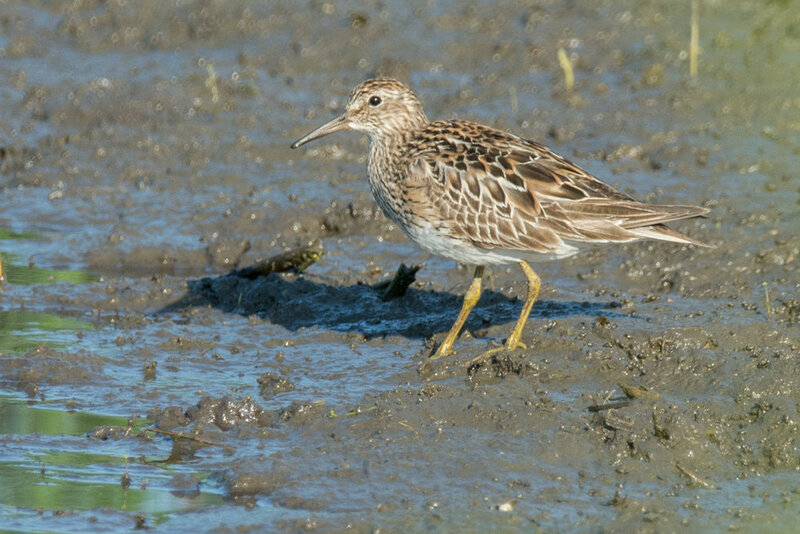 Once the young Pectoral Sandpipers are able to fly, they too hit the road, and on their own they make their way down to the same wintering grounds as their parents. How do they know when to leave? How do they find their way across such a long distance? Folks who study these things do not know for sure. You know what? It doesn't need explainin'. Just look at it and marvel at the wonder of nature. And hope that we can find a way to preserve our planet so that our grandkids' grandkids too can see this marvelous bird.